evaluation, research and advocacy work. I’m based in Sheffield and enjoy working across the country. Over the last few years, I’ve worked with clients including the Science Museum Group, the National Trust, English National Ballet, Imperial War Museums, Children & the Arts, University of Sheffield, Museums Sheffield, Museum Development North West, the Poetry Society and Unilever Art, Archives and Records Management. Find out what they think of working with me here. Since 1998, I’ve worked across the arts, heritage, community and education sectors. 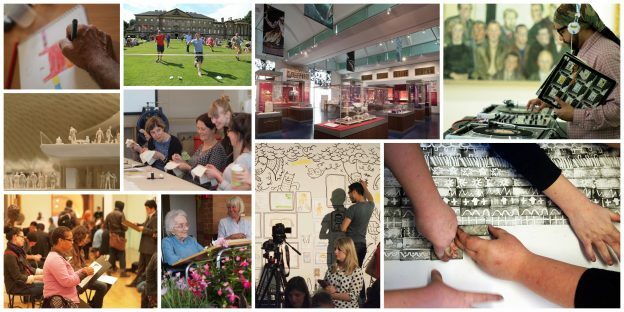 I’ve got first-hand experience of national, regional and independent museums and galleries, historic houses, arts organisations, community projects, schools and universities. I’ve been part of learning, marketing and curatorial teams, and am a big advocate of cross-departmental working. I love teaming up with artists and creative people to explore fresh perspectives and imaginative approaches. I’m on the Board of Directors for the Sheffield Creative Guild. BA History of Art, University of Cambridge. Dip into the Case Studies menu to find out more about the projects I’ve done. If you would like to work with me or just want to find out more about what I do, it would be great to hear from you.